ST’s STM32F3 motion controller provides tracking for the Samsung Galaxy Note 4 that drives the Gear VR. VR (Virtual Reality) headsets are all the rage for technophiles, which is amazing considering most major electronics companies haven’t released their respective wares to the market yet. For those who cannot wait for those companies (looking at you Sony, Oculus and Valve) headsets, perhaps they should take a look at the OpenGear Project, which turns Samsung’s Galaxy Note 4 into a Gear VR-like device. The OpenGear Project (from OpenGear no less) features open-source hardware and software anyone can modify to their hearts content. Turning the Galaxy Note 4 into a VR headset is easy to do and consists of using the smartphone as the base, which is connected to a cardboard enclosure that’s outfitted with a pair of lenses, giving it that VR effect. 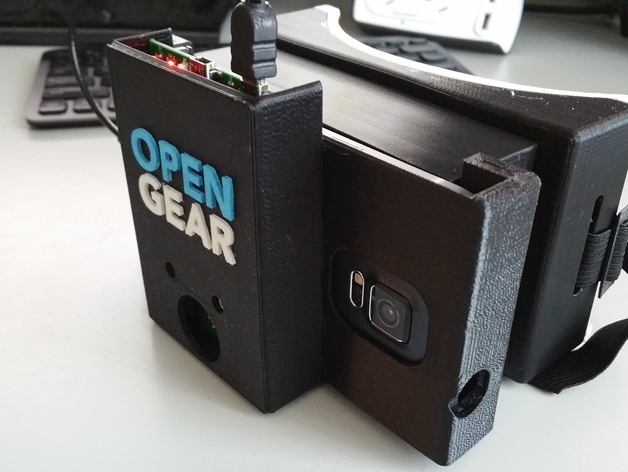 Those that don’t want to use OpenGear’s cardboard enclosure can 3D print their own thanks to Thingiverse user skyworxx. 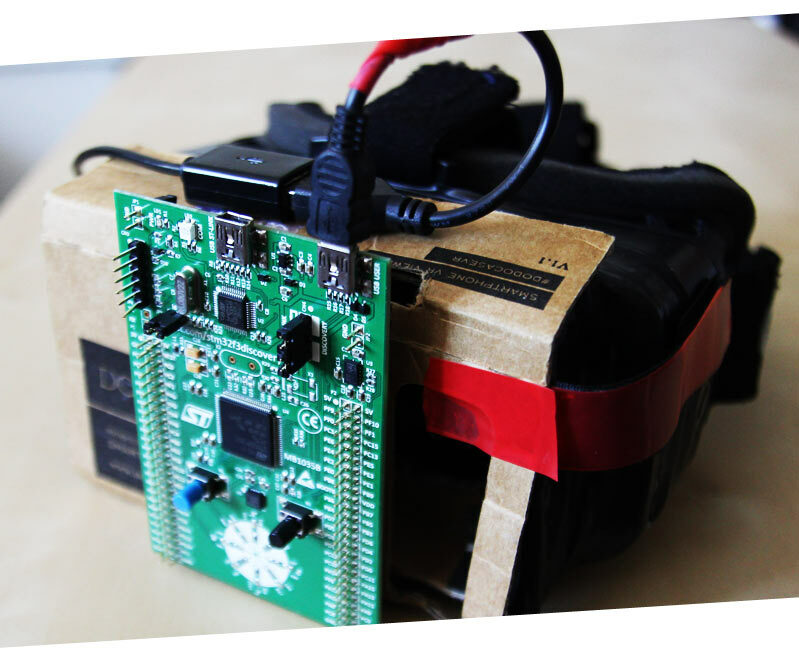 Motion tracking is done by connecting ST’s STM32F3 Discovery development board, which has all the necessary tech needed, including a 3-axis L3GD20 gyro and LSM303DLHC accelerometer/magnetometer. This allows the wearer’s head to be tracked in real-time. Open-source firmware makes the Note 4 see the development board as a VR headset similar to the Oculus Rift. Users can use the device to develop and share their own VR apps, which is what the Project is all about.